This fabulous two storey holiday home has idyllic views and the comfort of your very own home. 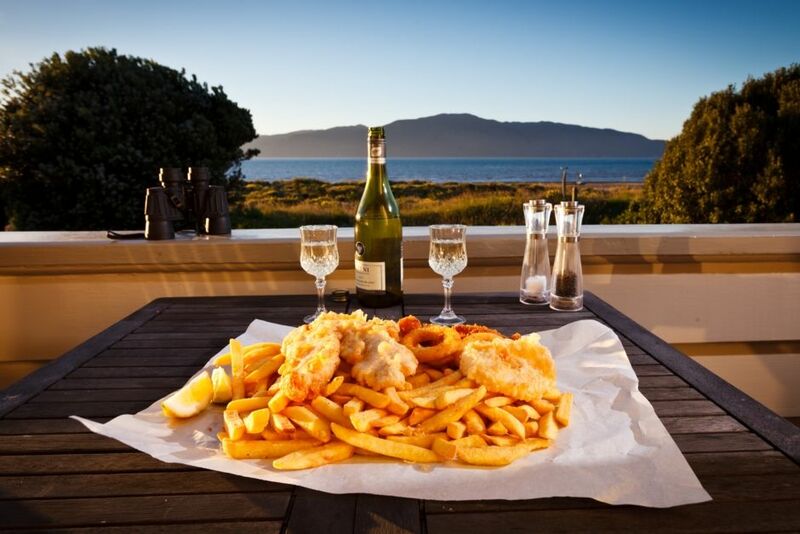 Situated in a beautiful area, this holiday home is only a moments’ walk from Paraparaumu Beach Village. The village has an abundance of sunny cafe’s, modern playgrounds, a skate park for the kids and the Kapiti Island Nature Reserve tours are all nearby. The open-plan flow of this holiday home make’s it relaxing easy. Private beach access for your enjoyment and a flat rear section for the kids. The spacious bedrooms invite all day sunshine and the rumpus room is equipped with a tv and toys. Paraparaumu Beach is just 45kms north Wellington on the Kapiti Coast. Paraparaumu Beach offers a broad expanse of clean sand, ideal for walking, jogging, beachcombing or cycling. Safe swimming is available year-round. The town is well catered for with a range of cafes, restaurants and children’s’ playgrounds. Good transport links are nearby with the train station and airport, with Wellington less than 45 minutes away by car. Local attractions include NZ’s No 1 Golf Course, Southwards Car Museum, Ten Pin Bowling, Nga Manu Bird Sanctuary and Kapiti Island Nature Reserve tours just to name a few. Short to medium occupancy available please enquire for further information. This home would also suit if you are looking to relocate and require temporary furnished accommodation. Enquire about our weekly rates. Linen can be supplied if required, please enquire. Would have been nice to have some dishwashing liquid, sponge, cloth, liquid and some kind of soap for toilets. Fabulous house in a great location! We would definitely stay again! Great property and location but needed a good clean (previous guests rubbish and crumbs were everywhere so had to give the place a good hoover when first arrived). But once clean the property was well equipped and kids loved the play room and toys. The property was beautiful! It was perfect for our needs. The property was beautiful! It was perfect for our needs. It had everything you needed and more, beautifully furnished, spotless and the location was amazing. My only regret is that we didn't stay longer to really enjoy it. Would love to stay there again? ?.